The original version of this post was written by Andrew Zangre, from G2 Crowd and can be found here. You never forget your first game of shuffleboard. Not that imposter tabletop version you see in some bars. No, I’m talking about the real thing. The one played with long, paddle-like cues and a court laid out on the floor next to a pool — a leisurely staple of cruise ships and Florida beachfront condominiums. Though it has roots in the U.K., the game is ideal for the muggy Florida outdoors, because you can play it year-round. In 1979 the International Shuffleboard Association (ISA) launched in St. Petersburg, FL, paving the way for shorts-wearing snowbird seniors for the rest of time. Nothing quite embodies the sunny, slow-paced vibes of the state like a game of shuffleboard while drinking a cold beverage with a tiny umbrella poking out. And as it turns out, these vibes aren’t just for retirees. A legion of ambitious entrepreneurs are discovering that Florida’s warm weather, affordable housing and relaxed pace of life are a favorable contrast to the daily demands of many skyscraper cities. A perfect place to launch a software startup, in other words. Time Magazine named two Florida communities in its recent Top 10 list for highest well-being in the U.S., with Naples grabbing top honors. Two Florida areas (Naples and Sarasota) made Forbes’ Top 25 Happiest Cities in America list back in October. 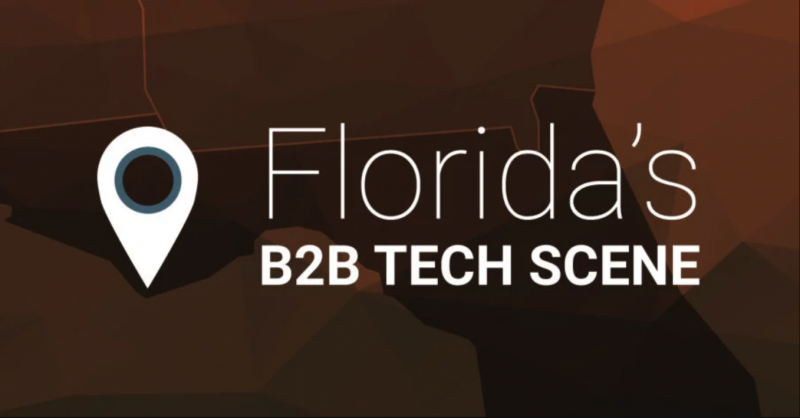 Four cities in Florida are among the fastest growing in the U.S., according to WalletHub, with two (Lehigh Acres and Fort Myers) appearing in the top 10. Between the increasingly unreal living expenses of some bigger markets and one of the coldest winters on record smacking the northern states, you can expect the Florida migration to increase, filling out cities like Orlando and Miami and trickling into the numerous towns on the up-and-up. If you’re not sold, did we mention the zero state and personal income tax? And the Marlins Park home run sculpture? “Haters gonna hate,” as the saying goes — Florida has and will always get an unfair rap in some circles — but locals and transplants know it’s a little slice of paradise, and as good a place as any to build a business. Just as the ISA was founded to nurture the habitual and competitive growth of shuffleboard, other community-focused organizations set out to ensure that ambitious innovators don’t get bored or lost in the shuffle. For instance, a branch of the California incubator Founder Institute came to Fort Lauderdale in 2015. According to the Institute’s website, it’s helped launch more than 2,300 companies, and at a survival rate of 72 percent. 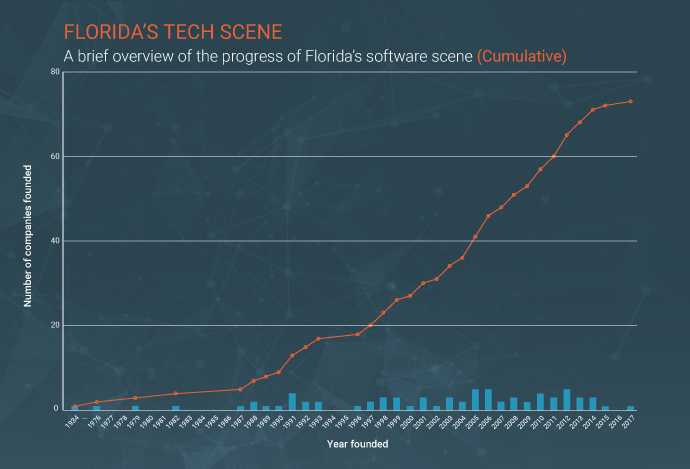 Early meetings for the South Florida chapter were held at General Provision, a coworking space that opened just a year earlier and represents a similar injection of startup sauce into the swampy state. Spaces like this give local go-getters an affordable and comforting place to plug away on whiteboards and network with kindred spirits. GleanView, from the home of the Jaguars, is a High Performer in the contentious CRM All-in-One category. The platform offers features across the spectrum of sales team needs: Account management, opportunity forecasting and performance dashboards to name a few. It also comes packaged with marketing tools like an email builder and customer segmentation. In a five-star GleanView review, Marc P. wrote, “We switched from a competing CRM to GleanView and ended up saving over $20K per year without losing any functionality. The service has been top notch and has went above and beyond to accommodate our needs. The team at GleanView has been able to really customize the integrations to match our sales and marketing process, and we now have a full solution that manages our customers and prospects from lead to repeat order.